In the spring of 2017, a group of scholars around Benoît Hamon, the presidential candidate of the French Socialist Party, presented a draft Treaty on the democratization of the governance of the euro area (T-Dem) (Benoît Hamon et al. 2017). In its draft treaty, the T-Dem Group proposes the formation of a Parliamentary Assembly of the euro countries with far-reaching rights to steer the macroeconomic policy of the euro zone. 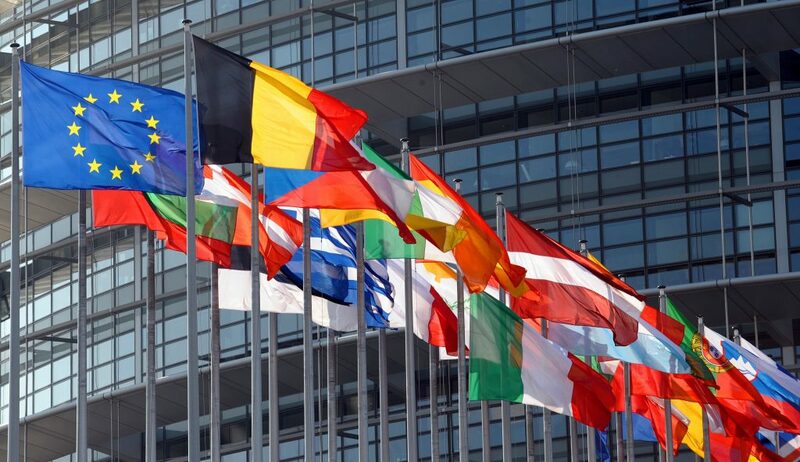 This assembly will be composed of 80 percent delegations of the national parliaments of the euro countries, whose size will be determined according to their share of the population of the euro zone, and 20 percent representatives of the European Parliament. In the current debate on a planned deepening of the European Economic and Monetary Union (COMM/DG/UNIT 2017), T-Dem is so far the only proposal that deals with the democratisation of the euro zone and makes concrete proposals. As with its counterpart, the European Fiscal Pact (SRSF – Treaty on Stability, Coordination and Steering in Economic and Monetary Union), T-Dem is the conclusion of an international treaty outside the EU treaties. This is to remedy the democratic deficit opened up by the Fiscal Pact and in which the finance ministers of the Euro group operate – so far outside the framework of the European Treaties and without accountability to the European Parliament or the national parliaments (Stéphanie Hennette et al. 2017c). General integration into the Parliamentary Assembly would also put an end to the unilateral veto power of individual national parliaments, such as that of the German Bundestag on the rescue packages for Greece, which also endangered the democratic governability of the European Union in the past (Stéphanie Hennette et al. 2017b). According to the T-Dem authors, the Euro group forms a power structure that exaggerates the relevance of financial stability and market confidence and downplays the issues that are of great importance for the majority of the population – such as employment, growth, fiscal convergence, social cohesion and solidarity. Only a parliamentary assembly could democratically legitimise the management of the euro zone and make it accountable to the population. It was no longer just a question of organising a common market, but of coordinating economic policy, harmonising tax systems and converging budgetary policies – which deeply affected the social contracts of the euro countries. It was therefore difficult to keep the national parliaments out of this decision-making process without depriving them of their most important constitutional rights. The T-Dem proposal aims to reinstate the national parliaments in their rights through the chosen form of a parliamentary assembly and not to leave the management of the euro zone to an anonymous au-tocracy. The T-Dem authors see the creation of a European chamber composed of representatives of the national parliaments as a decisive step towards a European political union. This Parliamentary Assembly should have the right to participate fully in the governance of the euro area. This means that the Assembly would co-determine the agenda of the Euro summits and the six-monthly work programmes of the Euro group and would have the legislative right of initiative – which the European Parliament has not yet. According to the ideas of the T-Dem Group, the Parliamentary Assembly would intervene at any critical moment in the steering process of the euro zone, be it in the case of the European semester, the conditionality of the Memoranda of Understanding for obtaining financial aid from the European Stability Mechanism or the selection of the Euro zone executives. To this end, the Assembly must be endowed with an autonomous and pluralistic expertise as well as with investigative and control rights vis-à-vis all institutions of euro zone management (Hennette et al. 2017c). According to the T-Dem draft, the Parliamentary Assembly has the Euro zone budget, enabling it to promote sustainable growth, employment, social cohesion and better harmonisation of economic and fiscal policy (Art. 14.1). Together with the Euro group, the Parliamentary Assembly adopts the tax base and the corporate tax rate from which the euro area budget is financed (Art. 12.2). In addition, the Treaty should allow the communitisation of that part of the public debt exceeding 60% of the GDP of each euro area country (Art. 12.4). This proposal refers to the debt repayment pact proposed by the German Council of Economic Experts in 2011. This partial communitisation of government debt would make it possible – in conjunction with the ECB – to set a common interest rate for these bonds and to announce partial or complete debt moratoria (Hennette et al. 2017c). The entire T-Dem proposal it legitimised as a democratic alternative to the autocratic fiscal pact (SKSV). Paul Magnette (2017), Minister-President of the Walloon Region of Belgium, believes that the reform treaty proposed by the authors of the T-Dem is the only possible way to strengthen the socio-economic cohesion of the euro zone and to put the elected representatives at national, regional and European level back at the heart of the process. Ulrike Liebert (2017) points out that the Euro zone parliament created bundles the sovereignty of the national and European levels: “The euro-legislative thus created no longer needs to shy away from the current supremacy of the executive and judiciary. It also brings more political capacity to act to shape global financial flows and the European economic and monetary order” (Liebert 2017, 36). T-Dem is thus precisely addressing the democratic deficit in the Euro zone that has been repeatedly criticised by the emancipatory camp and should be able to unfold a broad alliance effect. This would bring back the democratic reform of the Euro zone back on the agenda. Can the Parliamentary Assembly with the extensive powers provided for in T-Dem really be realised without amending the EU Treaties? Sébastien Platon (2017) argued that the legislation that would be adopted under T-Dem would either not be binding or would benefit from the binding nature of the T-Dem Treaty itself (like the other international treaties outside the EU treaties). In the second case, any legislation passed would become attributable to the individual T-Dem treaty parties, and thus a case for the European Court of Justice if this T-Dem legislation infringes EU law. Hennette et al (2017b) countered that the main justification for the compatibility of T-Dem and existing EU law is the current legal state of governance of the euro zone, which is much more the result of political and institutional responses to the euro crisis than the result of any EU treaty or a democratically motivated major draft. In particular, the EU treaties do not include any legitimation for the euro group, the euro summit only provided for in the fiscal pact, the existence of decisive actors in euro zone management highly informal. The European Court of Justice had already ruled on 20 September 2016 in the case of Mallis and Malli versus Commission that decisions of the Euro group were not EU law. Therefore not only applications against the Euro group were declared inadmissible, but also decisions of the Commission and the European Central Bank, insofar as they were taken within the framework of the European Stability Mechanism and the non-EU Treaties. T-Dem therefore does not alter the institutional or legal framework in any substantial way. Anne M. Könneke (2017) agrees. Nevertheless, Paul Magnette (2017) demands that in the T-Dem the legislative competences of the Parliamentary Assembly should be more clearly distinguished from the political control of the macroeconomic management of the Euro zone. In his view, it would be “more consistent if the European Parliament voted on the common budget and the common tax bases, while the new Parliament concentrated on the democratisation of socio-economic regulations within the framework of shared competences (social affairs, labour, etc. )” (Magnette 2017). The objection a parliamentary assembly of the euro zone would blatantly disregard the authority of the european parliament (Dominika Biegon 2017; Platon 2017) misses the point of democratisation of the euro zone government for several reasons. Firstly, the European Parliament has no say at all in the central questions of macroeconomic euro zone governance (which is part of the problem to be solved) and has no fiscal policy resources for it in the foreseeable future. In the medium term there is no revision of the European treaties in sight. Secondly, the T-Dem proposal develops a democratic counter-model to other reform proposals for the euro zone, which – like the 14-point paper (Agnès Bénassy-Quéré et al. (2018); critical of this Sebastian Dullien (2018)) – continue to focus on market confidence and the de-politicisation of macro-management. As such a counter-model, T-Dem could become the political crystallization point for alternatives to euro-political conservatism, as it became clear in the statement by the finance ministers of the eight northern euro zone countries (Finance ministers from Denmark, Estonia, Finland, Ireland, Latvia, Lithuania, the Netherlands and Sweden 2018). It would be worth considering how the proposals of Laszlo Andor et al. 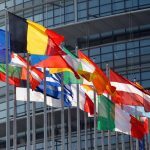 (2018) for a euro zone budget could become a part of the T-Dem proposal. Thirdly, according to the preamble draft, the provisions of the T-Dem should be integrated into the EU treaties as quickly as possible, Art. 22 provides for a corresponding evaluation clause. From this perspective, T-Dem could become a kind of test laboratory for the democratisation of the economic and monetary union of the entire EU. The good thing about the T-Dem proposal is that it is open to various variations of this medium- and long-term development. Thus, the legislative powers gained within the framework of the T-Dem could be transferred to the European Parliament within the framework of a new version of the Treaties. Furthermore, the rights of control and action relevant to regional policy could be transferred to a Parliamentary Assembly of the Nations and Regions of the entire EU. This would also remove Biegon’s (2017) criticism of any form of differentiated integration. It is true that the already existing Euro-architecture offers a negative example of this sharp separation of participating and non-participating states. However, the T-Dem proposal opens a way to overcome the post-democratic autocracy of the Council of Ministers: “The trick must be to parliamentarise the euro zone without risking divisions in the EU. Their successes should motivate the non-euro countries to stay in tow or even to want to come on board” (Liebert 2017, 36). Conclusion: The proposed treaty to democratise the governance of the Euro zone is a well thought-out concept that – with appropriate communication and mobilisation – can give the debate on the reform of the Euro zone an emancipatory turn. Andor, Laszlo, Pervenche Berès, Lorenzo Bini Smaghi, Laurence Boone, Sebastian Dullien, Guillaume Duval, Luis Garicano, Michael A. Landesmann, George Papaconstantinou, Antonio Roldan, Gerhard Schick, Xavier Timbeau, Achim Truger, and Shahin Vallée. 2018. “Ein Haushalt für die Euro zone.” Süddeutsche Zeitung. April 15. http://www.sueddeutsche.de/wirtschaft/forum-ein-haushalt-fuer-die-euro-zone-1.3945188. Bénassy-Quéré, Agnès, Markus Brunnermeier, Henrik Enderlein, Emmanuel Farhi, Marcel Fratzscher, Clemens Fuest, Pierre-Olivier Gourinchas, Philippe Martin, Jean Pisani-Ferry, Hélène REy, Isabel Schnabel, Nicolas Véron, Beatrice Weder die Mauro, and Jeromin Zettelmeyer. 2018. “Reconciling risk sharing with market discipline. A constructive approach to euro area reform.” CEPR Policy Insight 91. Biegon, Dominika. 2017. “Europa der verschiedenen Geschwindigkeiten. Wer kann, geht voran.” Aus Politik und Zeitgeschichte (APuZ)(37): 18–22. COMM/DG/UNIT. 2017. Commission sets out roadmap for deepening Europe’s Economic and Monetary Union. https://ec.europa.eu/commission/publications/completing-europes-economic-and-monetary-union-factsheets (accessed April 26, 2018). Dullien, Sebastian. 2018. Euroreport. Reformpläne mit blinden Flecken und gefährlichen Nebenwirkungen. https://makronom.de/euroreport-reformplaene-mit-blinden-flecken-und-gefaehrlichen-nebenwirkungen-25355 (accessed February 15, 2018). Hennette, Stéphanie, Thomas Piketty, Guillaume Sacriste, and Antoine Vauchez. 2017a, Für ein anderes Europa. Vertrag zur Demokratisierung der Euro zone. C.H. Beck Paperback. Vol. 6269. München: C.H. Beck. Hennette, Stéphanie, Thomas Piketty, Guillaume Sacriste, and Antoine Vauchez. 2017b. European parliamentary sovereignty on the shoulders of national parliamentary sovereignties. A Reply to Sébastien Platon. https://verfassungsblog.de/european-parliamentary-sovereignty-on-the-shoulders-of-national-parliamentary-sovereignties-a-reply-to-sebastien-platon/. Hennette, Stéphanie, Thomas Piketty, Guillaume Sacriste, and Antoine Vauchez. 2017c. For A Treaty Democratizing Euro Area Governance – (T-Dem). https://www.socialeurope.eu/treaty-democratizing-euro-area-governance-t-dem (accessed January 11, 2018). Könneke, Anne M. 2017. “Parlamentarische Legitimation der Wirtschafts- und Währungsunion. Stand und Perspektiven.” Walter Hallstein-Institut für Europäisches Verfassungsrecht Humboldt-Universität zu Berlin. WHI – Paper 2. Liebert, Ulrike. 2017. “Demokratisierung im europäischen Mehrebenensystem.” Neue Gesellschaft Frankfurter Hefte(6): 33–36. Magnette, Paul. 2017. „Gewählte Parlamentarier müssen wieder ins Zentrum des Verfahrens gerückt werden”. Treaty on the democratization of the governance of the euro area (« T-DEM »). http://www.voxeurop.eu/de/2017/paul-magnettes-vorstellung-von-der-demokratisierung-europas-5121390 (accessed March 14, 2018). Platon, Sébastien. 2017. Democratizing the Euro Area without the European Parliament. Benoît Hamon’s “T-Dem” https://verfassungsblog.de/democratizing-the-euro-area-without-the-european-parliament-benoit-hamons-t-dem/ (accessed March 14, 2018). How to deal with the challenge of economically sound, socially fair and ecologically sustainable growth in times of growing inequalities? As international observers may easily certify, Italy is no stranger to political experiments. Leo Panitch, one of the most important Marxist thinkers of our time, talks to ENA Institute for Alternative Policies and its Director of Research, Nikos Erinakis about radical thinking today and its relation to political practice, the “promise of Democracy” and the messages of his new book.